The Wine: A Chardonnay of extraordinary freshness, vibrant lifted fruit intensity, solid structure, balance and finesse. 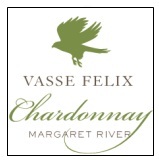 Vasse Felix create a complex, softly textured wine through a regimen of partial wild yeast fermentation in French oak barriques. The final effort is distinct, elegant in style and true to Margaret River. Typified by its bright, delicate fruit and tight, underlying acidity throughout, a reflection of the purity to be found in Margaret River, a Chardonnay of compelling primary fruit flavours and sound structure. Experts Ratings: Decanter 92 pts. The Wine : This is a really enjoyable and versatile Bordeaux blend. The 2005 offers a lovely mixture of ripe-berry, plum and woodsy scents, harmonised with just the right amount of quality oak. 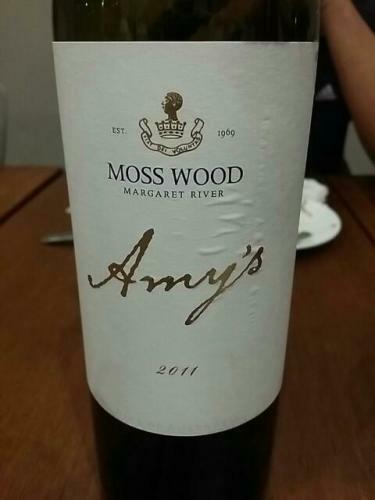 It is smooth, well structured, fruit driven and not too assertive in the tannins. 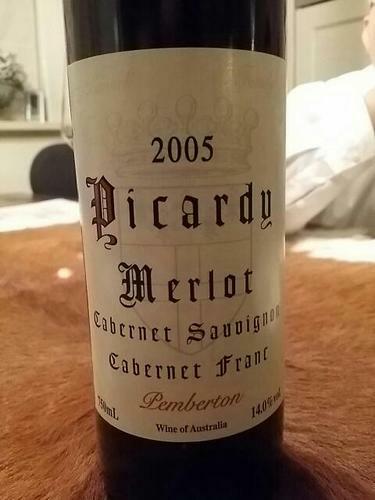 The palate is medium-bodied and has the leanness and attractive angularity of a cool climate merlot. The percentages are 65% Merlot, 18% Cabernet Sauvignon and 17% Cabernet Franc. The palate also offers pleasantly overt Merlot fruit characters and the tell-tale underlying berry notes of the two cabernets. Very approachable now but will also cellar for at least 15 years. This wine would benefit with at least 3 years in the cellar and should cellar well for up to 20 years. The fruit is destemmed and pumped to overhead small fermenters. The fermentation is carried out at around 25 degrees Celsius to ensure purity of fruit without excess extraction. During fermentation the wine is hand plunged 3 times per day. The wine and skins are run directly from the fermenter into the airbag press. After pressing, the different ferments and varieties are then blended as early as possible to give maximum integration. We also attempt to co-ferment the Cabernet Franc either with the Merlot or Cabernet Sauvignon, to further enhance integration. After blending and settling the wine is then matured in new to four year old French oak barriques. While in oak the wine undergoes malo-lactic fermentation and each barrel is checked and topped up weekly. This wine is usually racked twice during its oak maturation. After twelve months in oak the wine is racked out of barrel to a tank and given a light filtration on its way to bottle. The Wine: Made of a blend of a blend cabernet sauvignon 50%, petit verdot 31%, malbec 12%, and merlot 7%. Inky purple. Expressive scents of blueberry, boysenberry and cassis, with a floral accent that gains strength with air. Broad, deep and nicely concentrated, offering sappy dark fruit flavors complemented by an exotic array of lavender pastille, allspice and bitter chocolate notes. Silky tannins come up late, adding shape to a long, floral-dominated finish. Score – 92. (Josh Raynolds, International Wine Cellar, July/Aug. 2013). The Wine : The 2012 Raconteur is sourced from mature vines located in Willyabrup, Margaret River; these old vines are hand harvested and made using traditional techniques by Vinaceous winemakers. The wine is matured in oak and selected by Vinaceous Winemakers Mike Kerrigan and Nick Stacy for finishing, fining, blending and bottling by Vinaceous. The Raconteur typifies classic Margaret River cabernet; lush, rich and deep purple in colour with bright hues, the aroma leaps from the glass with violets and black berry and mocha notes. Not unlike a Rorschach Image, people will see different flavors across the palate; some will find ripe fleshy black currants and cassis, others will find crunchy sour cherries; but both complement the overall palate with intensity, weight, structure and texture. Along with lip-smacking tannins and fine oak nuances, the 2012 Raconteur can easily be enjoyed on immediate opening or be cellared for up to 10 years and is absolutely a must with roast lamb, char-grilled rib-eye and/or array of cheeses; whatever your choice, the Raconteur will always entertain and command attention! Impresión General: Un vino muy bueno, color amarillo cítrico, aroma y sabor mineral, con un final mediano, muy bien balanceado y agradable. Impresión General: Un vino de corte, con un color rojo rubí que tiene sabor frutoso y dulzón, un final largo, agradable y de muy buena estructura. Impresión General: Un color rojo intenso, con un aroma muy débil a frutas, sabor achocolatado y una estructura bastante fuerte. Un buen balance con alto contenido de alcohol. En general un vino muy agradable. Impresión General: Un buen vino cabernet bastante agradable, con especiales características y sabor, tiene un llamativo color rubí y en resumen es un vino elegante y muy acceptable. Western Australian wine refers to wine produced in Australia’s largest state, Western Australia. Although the state extends across the western third of the continent, its wine regions are almost entirely situated in the cooler climate of its southwestern tip. Western Australia produces less than 5% of the country’s wine output, but in quality terms it is very much near the top. Western Australia’s several wine districts, which includes Margaret River, Great Southern Region, Pemberton, Perth Hills, and Swan Valley, stretch out from the coastal city of Perth. Vines were planted in this area in 1829, some years before the first planting in either South Australia or Victoria. But the state isolation and limited population hampered the industry’s growth and scope until 1970. 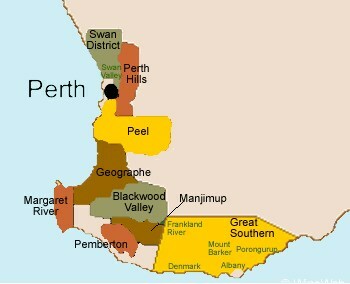 The Swan Valley, north of Perth, was Western Australia’s first wine district. It became known for table grapes as well as wine grapes, and the leading wines were mostly sweet and/or fortified and sold in bulk. It was here that Houghton‘s White Burgundy was originally a rustic, powerfully alcoholic made from chenin blanc, muscadet and chardonnay. Of all the wine districts in Western Australia, the most renowned and ambitious is Margaret River, a windswept district jutting out like an elbow into the Indian Ocean. Originally known for its timber, Margaret River came to world attention in the 1980s for the elegance, richness and clarity of its cabernet sauvignons- specially those from three of the leading wineries, Cape Mentelle, Leeuwin Estate and Cullens. The combination of the district’s maritime location and gravelly soil reminded several vintners of Bordeaux and inspired them to plant not only red Bordeaux grapes such as cabernet sauvignon and merlot, but also Bordeaux whites, Semillon and sauvignon blanc. Both white grapes, which are often blended, turned out to make wines shockingly full of personality. On the other hand, when chardonnay was first planted in Margaret River, it seemed to be something of a gamble. As it turned out, chardonnay has almost magical affinity for the region. Leeuwin Estate, in particular, make chardonnays of breathtaking elegance that, with several years aging, grow even ricer and more expansive. They are among the best produced in all of Australia. One of the most curious grapes grown in western Australia is Verdelho. It was originally brought to the Swan Valley in 1829 by one of Western Australia’s first colonist, a botanist named Thomas Waters, who took cuttings from he island of Madeira off the African coast (a stopping point to pick-up provisions on the long voyage out). Two of the best Verdelhos to try are Moondah Brook and Willespie. Today much of the excitement in Western Australia centers around the cool subdistricts within Great Southern Regions and the southwest coast. Wineries to watch from these areas include Howard Park, Plantagenet, Goundrey, and Capel Vale, known in the USA as Sheldrake. The Great Southern is Australia’s largest wine region a rectangle 200 kilometres from east to west and over 100 kilometres from north to south. It has five nominated subregions for wine, namely the Porongurups, Mount Barker, Albany, Denmark, and Frankland River under the Geographical indications legislation as determined by the Australian Wine and Brandy Corporation. The vineyards spread throughout the area have significant variations of terroir and climate dictated in part by the distance however the region is the coolest of Western Australia’s viticultural areas; with a similar maritime influenced Mediterranean climate to Margaret River although with slightly less rainfall. This diverse region is known for Riesling, Chardonnay, Cabernet Sauvignon, Pinot noir, Shiraz, and Malbec. Western Australia’s Great Southern region comprises a rectangle 200 kilometres from east to west and over 100 kilometres from north to south, and is Australia’s largest wine region. It has five nominated subregions for wine, the Porongurups, Mount Barker, Albany, Denmark and Frankland River under the Geographical indications legislation as determined by the Australian Wine and Brandy Corporation. The vineyards spread throughout the area known for production of high quality vines have significant variations of terroir and climate dictated in part by the distance however the region is the coolest of Western Australia’s viticultural areas; with a similar maritime influenced Mediterranean climate to Margaret River although with slightly less rainfall. This diverse region is known for Riesling, Chardonnay, Cabernet Sauvignon, Pinot noir, Shiraz, and Malbec. Albany is a subregion of the Great Southern region of Western Australia. Albany’s climate is maritime, strongly shaped and moderated by the Southern Ocean; the standard description is that it is Mediterranean, with moist, cool winters and warm, dry summers. Diurnal temperature range is minimal, and moderate humidity in summer assists ripening by reducing stress on the vines. Soil types of the region are either lateritic gravelly, sandy loams or sandy loams derived directly from granite and gneissic rocks. Denmark the coastal neighbor of Albany is one of the five subregions of Great Southern. Marginally wetter and cooler than Albany, although the differences are not of significant magnitude. The climate is broadly similar to Albany; the varieties being grown and the wine styles are also similar. Frankland River is one of the five subregions of the Great Southern in Western Australia. It is situated in the northwestern corner of the region, its western boundary touching the eastern side of Manjimup. It is the most northerly, inland subregion of Great Southern, still Mediterranean in terms of dominant winter-spring rainfall, but with greater continentality. The soils are chiefly derived from lateric gravelly sandy loams or sandy loams derived from granite or gneissic rocks, and so are typically rich, red in color and of uniform depth with some areas carrying marri and karri loams. The climatic influences for the area favor medium-bodied, Bordeaux style red varieties, and with the excellent adaptation of slightly earlier-maturing Shiraz. Mount Barker this cool subregion is generally regarded as the most important subregion of the Great Southern. Ripening month and average temperatures in the established Mount Barker vineyards are significantly lower than in the Médoc, and significantly lower than in the lower warmer Bordeaux appellations such as Saint Emilion and Pomerol. Average ripening period sunshine hours at Mount Barker together with the whole season measure of sunshine hours are nearly identical with those of Bordeaux. Situated in the middle of the Great Southern, with strong continental aspects together with marri soils and lateritic gravely and sandy loams provided from the granite rock backdrop the region is suited to Riesling, Shiraz, Cabernet Sauvignon, and Pinot noir. Porongurup is the fifth of the subregions of the Great Southern, just East of Mount Barker; and especially, the slopes facing north and north-east. The Porongorups are a small, isolated range of intrusive granite, of which slopes enjoy outstanding air drainage. The climate is Mediterranean with cool to mild winters and warm, sunny summers. While conditions are cooler and more humid higher up in the ranges with occasional snow on the taller peaks for short periods during winter and spring.The soils are ancient, deep karri loams derived from weathered granite. Porongurup is strongly indicated for all high quality white wine varieties such as Riesling, Traminer, Chardonnay, and red wine varieties such as Pinot noir, and Pinot Meunier. Margaret River is the major geographical indication wine region in southwest Western Australia, with 5,017 hectares under vine and 215 wineries as at 2012. Margaret River wine region is made up predominately of boutique size wine producers; although winery operations range from the smallest crushing 3.5 tonne per year to the largest around 7000 tonne. The climate of Margaret River is more strongly maritime-influenced than any other major Australian region. It has the lowest mean annual temperature range, of only 7.6C, and for good measure has the most marked Mediterranean climate in terms of rainfall, with only 200 millimetres of the annual 1160 millimetres falling between October and April. The low diurnal and seasonal temperature range means an unusually even accumulation of warmth. Overall the climate is similar to that of Bordeaux in a dry vintage. Although the region produces just three percent of total Australian grape production, it produces over 20 percent of Australia’s premium wine market.The principal grape varieties are fairly evenly split between red and white; Cabernet Sauvignon, Chardonnay, Sauvignon blanc, Sémillon, Shiraz, Merlot, Chenin blanc and Verdelho. The Swan Valley is a region in the upper reaches of the Swan River between Guildford and Bells Rapids, Western Australia. The Swan Valley is noted for its fertile soil, uncommon in the Perth region, and the recent expansion of tourism-based destinations. These include numerous wineries such as the huge complex at Houghtons, the state’s biggest producer, and Sandalfords and also many small though excellent family-owned concerns. During October the annual ‘Spring in the Valley’ weekend takes place; it is one of Australia’s largest wine and food festivals. The Swan District, of which the Swan Valley forms part, is the hottest wine region in Australia, with the grape harvest usually beginning in January. The Swan Valley is among the largest sources of Western Australia’s wine, with grape varieties such as Verdelho, Chenin blanc, and Chardonnay. This entry was posted in Meeting Abstract and tagged Cabernet Sauvignon, Chardonnay, Margaret River, red blends, Western Australia. Bookmark the permalink.